Æbbe (or Aebbe) of Coldingham, a princess in her own right (by virtue of being the daughter of Æthelfrith, the 7th century king of Bernicia), was also known to be an Anglican abbess. To that end, some sources do mention her instrumental role in spreading Christianity to the still-pagan Angles along the north-east coastal areas of Anglo-Saxon Britain. 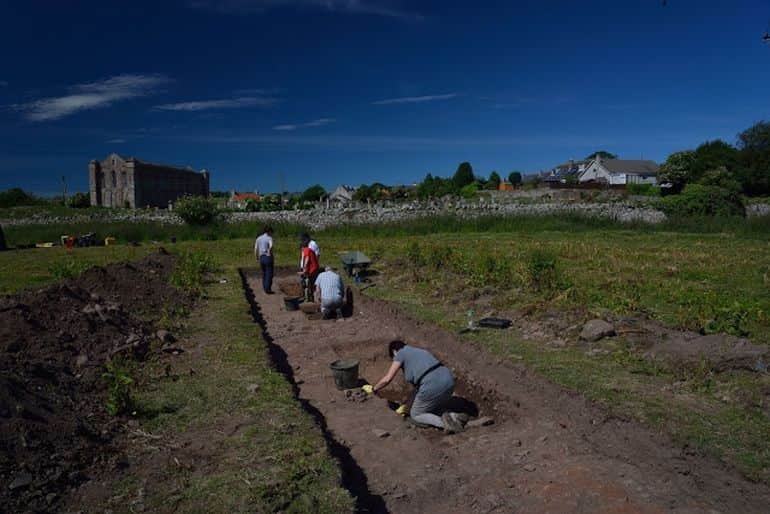 And now, archaeologists, led by DigVentures, have possibly come across a fascinating historical legacy left behind by Æbbe, in the form of the remnant of a long-lost 7th century monastery established by the abbess. 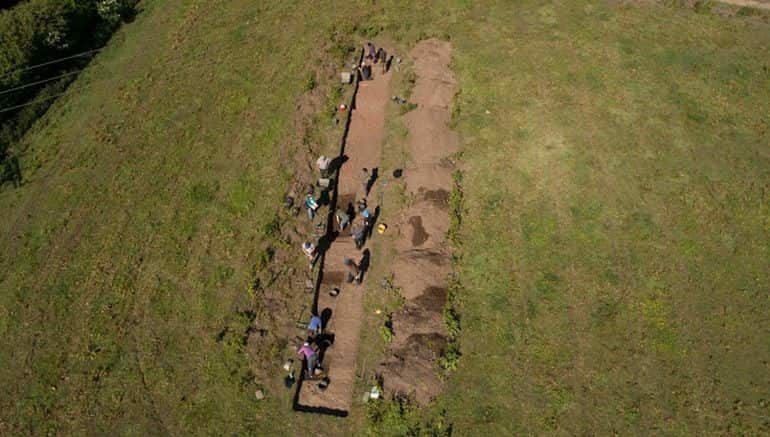 The section of boundary ditch we found links up with two other ditch sections, and together they seem to encircle Coldingham Priory, meaning that the heart of Aebbe’s monastery is somewhere underneath it. This is pretty much exactly when Aebbe’s monastery was in existence. Originally built around AD 640, it is said to have burned down shortly after her death, but was then rebuilt and thrived until it was destroyed once again by Viking raiders 200 years later. We based our search on a geophysical survey which revealed the outlines of several possible archaeological features, plus a series of individual finds including fragments of an Anglo Saxon belt fitting and sculpture, all of which seemed to centre on the later medieval priory in the heart of the village – and it makes sense that the later Benedictine monastery was built on the site of its Anglo Saxon predecessor! We [further] collaborated with the public [that included nearly 700 participants] on choosing where to dig, and they made a very smart decision, shunning some of the more glamorous suggestions we put forward in favour of a big, dark splodge on the map. We might not have excavated that particular spot if it hadn’t been their top choice, but it turned out that this is where we found the material that allowed us to get a very secure radiocarbon date. 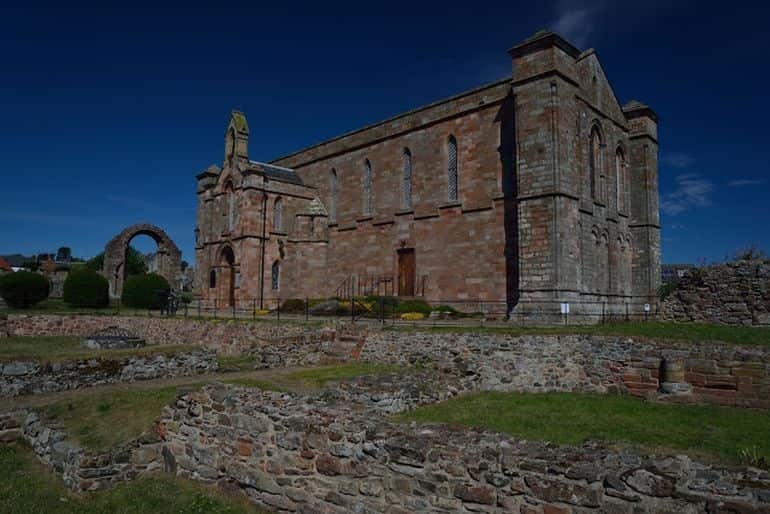 It is brilliant to finally be able to announce that we’ve found Aebbe’s monastery, and to confirm that part of it is probably underneath Coldingham Priory. Aebbe is an extraordinary figure – an example of a powerful Anglo Saxon woman who played a big part in establishing Christianity in the region during the 7th century. Now that we’ve got evidence to pinpoint exactly where her monastery was, we can help bring her story back to life.